American auto major, General Motors has partnered with e-commerce giant Amazon India for bookings of its upcoming SUV Chevrolet Trailblazer (Chevrolet Trailblazer India website now launched). The move comes after seeing India’s huge cash potential and boom in India’s online retail space with the onset of festive season. The evidence for e-commerce is compelling in India. Around 65 million consumers in India would buy stuff online this year as compared to 40 million consumers in 2014. 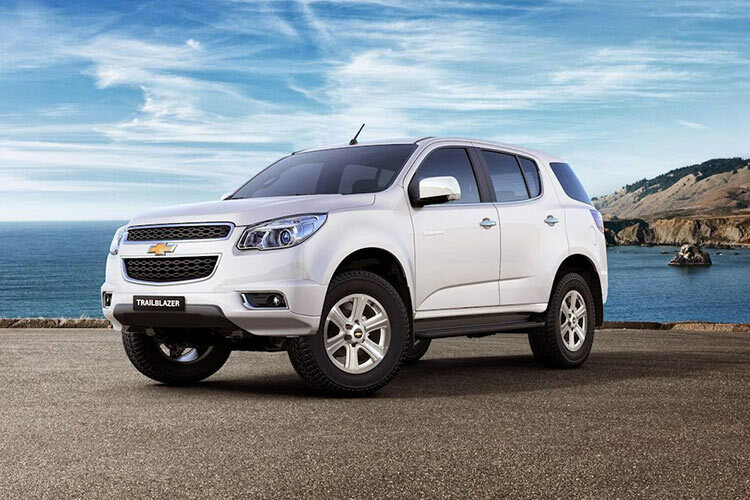 Bookings for the all new Chevrolet Trailblazer has also started in Chevrolet showrooms across the country. Other than showrooms, bookings for the Trailblazer premium SUV can be made on Amazon India website from October 21 onwards. This is a first of its kind promotion for premium vehicles in the booming Indian e-commerce space and will enable us to create an entirely new and unique experience for Chevrolet Trailblazer customers. We also found that many of our customers already refer to online platforms before they buy a vehicle, especially in the premium segment, and this new approach makes buying a Chevrolet car an even more consumer friendly process. As the digital economy grows in India, customer buying habits are changing too and the company continually looks for opportunities to transform the way India buys and the way India sells. This is a perfect example of that effort. Not revealing the actual booking amount, GM India to the press said that customers could book their car at a nominal booking amount on Amazon with an option of 100 percent booking amount refund in the case if they change the mind in future. Chevrolet Trailblazer’s online bookings received on Amazon.in would be fulfilled by the nearest car dealership.